If 2018 was the year of the data breach, the thinking among IT pros is that this will be the year companies take concrete steps to prevent future breaches. That was the sentiment among tech professionals who took part in a recent @IDGTechTalk Twitter chat about enterprise tech trends for 2019. 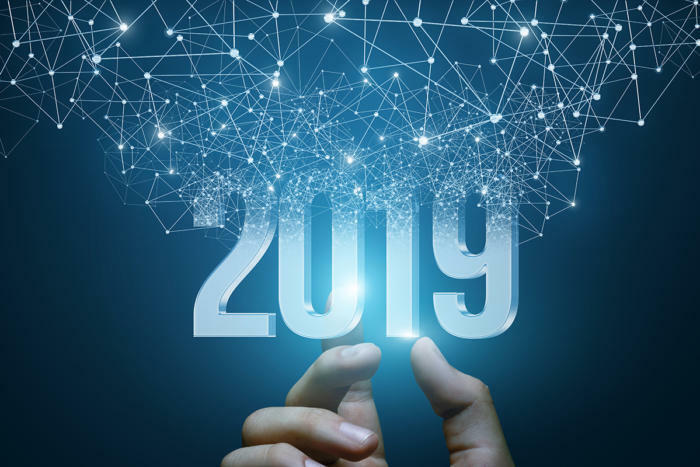 In fact, a recent @IDGTechTalk poll found privacy and security to be the top enterprise tech issue for 2019 (45 percent), followed by artificial intelligence (30 percent), cloud computing (16 percent), and blockchain (9 percent). Brent Kirkpatrick, founder of Intrepid Net Computing and a computer security researcher, agreed, saying that in 2018 business people finally started to realize anyone can be hacked. “For 2019, let us work to fix it!” he said. How can security be improved? Advances in cloud computing and blockchain will help organizations better protect their data, Climer wrote in a recent article. “Though these aren’t new technology trends — blockchain and the cloud led conversations throughout 2018 — how businesses utilize these tech tools for their operational security will likely transition dramatically,” she wrote. Jessica Marie, director of product marketing at Vera Security, also said tech advances in cybersecurity will help. “I’m most excited about advancements in cybersecurity, particularly encryption technologies and securing data in the cloud/collaboration tools. Something tells me with recent breaches, this might become very necessary,” she said during the Twitter chat. Kirkpatrick added that data privacy regulations are also important — with HIPPA perhaps evolving due to the GDPR regulations that went into effect in 2018. “For 2019, I am excited to see more discussion of GDPR-like laws in the U.S. Data protection is overdue,” he said. Expect AI to make significant inroads, but not as quickly as many expect, according to Jack Gold, principal analyst & founder at J. Gold Associates, LLC. That’s because it is still too hard for many to do. As a result, the biggest trend this year will be about making significant advances to user interface simplification. “The biggest trends in AI will not really be about the compute (although that’s important). It will be in making software tools available to the masses — to not require advanced data scientists to do every analysis,” he said. Climer, however, sees the biggest advances coming from AI-enabled chips that will “increase the speed by which AI can execute programs, enabling improved workload management and predictive analytics,” she wrote in her 2019 technology trends article. Companies that do implement AI will “get a dose of reality on what AI and machine learning can easily do versus what takes long term, ongoing investment,” said Isaac Sacolick, president and founder of StarCIO and participant in the Twitter chat, in a recent article about tech trends. Smaller companies will likely reconsider their AI investments, but more enterprises and large companies will take more steps to leverage the technology, as well as machine learning, he said. “Some of this will come because there are more AI tools and technologies that make working with data, AI, and machine learning easier. Even deep learning is becoming more mainstream. Others will take basic steps with their data and agile practices, then take on modest AI proof of concepts,” Sacolick wrote. Climer said, however, more companies will adopt AI because the technology will converge with the Internet of Things (IoT) and the Industrial Internet of Things (IIoT) at the edge computing layer. “This will likely drive enterprises to adopt AI to perform predictive maintenance and analysis. Data scientists and developers will be able to utilize improved neural network models using Open Neural Network Exchange (ONNX) to increase AI adoption,” Climer wrote. Expect cloud computing to push ahead in 2019, said Phil Siarri, founder of Nuadox and market researcher, during the Twitter chat. “I truly believe 2019 will be the year of cloud computing, with adoption rate further increasing, reaching new markets, industries,” he said. In fact, a cloud computing study conducted by IDG Communications in August 2018 found nine out of 10 companies will have some part of their applications or infrastructure in the cloud by 2019; the rest are expect to follow by 2021. Gold agreed that the continuing move to cloud will accelerate, especially for hybrid cloud. But many legacy systems will never be moved, he said. Blockchain made its mark in 2018 — some say it might even have been over-hyped — but 2019 will be the year when real-world use cases emerge, said Kail. It’s an essential technology, but it’s misunderstood, Climer added, stressing that the distributed ledger technology is more than a tool for the financial industry. One of the exciting prospects for blockchain is with network security, she said. Software-defined networks (SDN) are an ideal fit for it, she wrote in a recent article. Blockchain technology will also likely disrupt the IoT and cloud-based infrastructures, she said. What enterprise tech trend will be most important in 2019? Take our poll and let us know. Next Outlook for growth investors – 2019: the good, the bad and the surprising.